All about hay for horses – what is most important? In this article, we have compiled the most important information about hay for horses . Based on facts we will conclude which hay is best for horses. Which of the ingredients are particularly important? Which one should be avoided? What does hay-dust allergy really mean? What applies to hay for ruminants (cows, sheep, goats) does not necessarily apply to hay for horses. 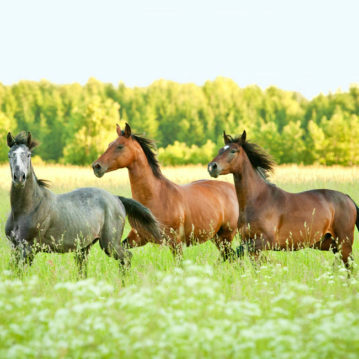 Horses have a very sensitive digestive tract. Dust and molds can lead to chronic diseases. To make hay better for horses, some equestrian businesses are watering the hay. The aim is to bind the dust with the feed. To me, this seems to be more an emergency solution. Optimal healthy food supply with regard to quality should be mandatory in our everyday life. Horses in contrast to cows can not throw up. In the case of digestive disturbances, colic can occur (intestinal overstretch). If a horse owner recognizes that too late, it can lead to colic until the death of the animal. For this reason, it is important to hay for horses, to focus on the hygiene of the fodder. In essence, it is food contamination with soil and thus bacteria as well as fungal infestation during storage. As with ruminating the feed is to have a residual moisture content of 12% to be permanently storable. Since the hay is still post-digested after drying to 12%, the moisture content is generally 14%. This is because the stalk of the dried plant usually still has a certain water reserve which still needs to dry. Hay for horses differs, in addition to the greater attention to hygiene also in the energy content. For the production of milk, surfaces are mown 4-5 x per year. For horse hay this takes place only 2 to maximum 3x. The largest energy content from the plants is obtained by farmers with the so-called “corn-ears”. From the ears of corn, when at least 50% of the ears of corn are seen to emerge from the leaf sheath. This high energy supply is however completely exaggerated for horses. This is due to a high raw fiber content. It is also often said that horses require a higher structural content in the feed. There is virtually no ground-dried hay in which molds do not stick. This is confirmed by hundreds of analyzes every year. Particularly in the horse hay, therefore, one should put on machine-dried hay with regard to hygiene. With machine-dried hay, the feed is completely dried under the roof. Such hay drying has now become very mature. Drying methods for hay are available for round balls but also for box drying (slack drying). It is also recommended that the cutting time for horse hay should be 2-3 weeks earlier than “normal”, since examination results show too late cutting times bringing up a higher risk of fungal infection for horses. 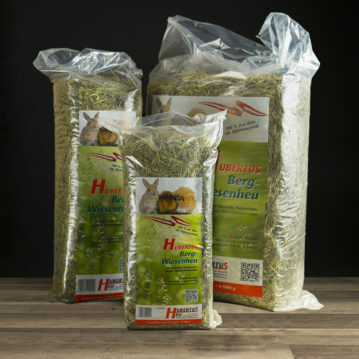 Since 2014 we are a reliable supplier when it comes to high quality Rabbit Hay . But almost a week does not pass by when we receive a disturbing call from a horse owner with questions concerning hay quality. A look into the nationwide statistics of horse medicine reveals that stronger coughing horses are more useless than lame one’s . And this in our time! The number of cabbages has also increased in Germany. We find it enough! 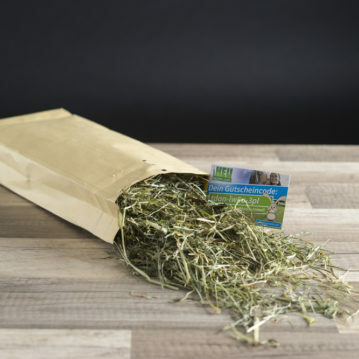 For this reason you can now also buy horse hay! 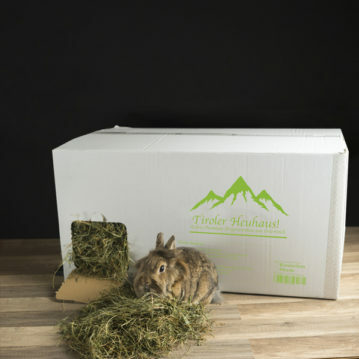 The hay comes from the Tyrolean mountains! 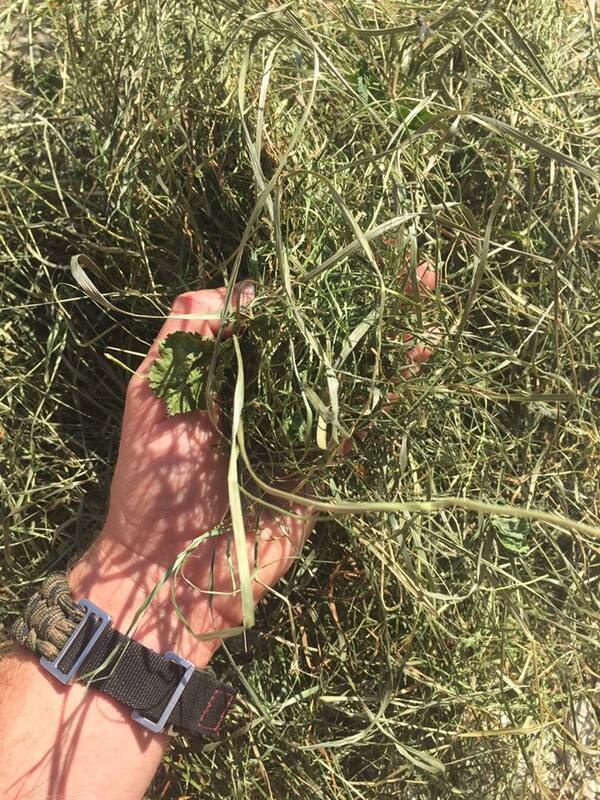 Always the same grasslands are mowed and our hay contains many high-quality herbs and grasses. An exceptionally high quality plant stock. 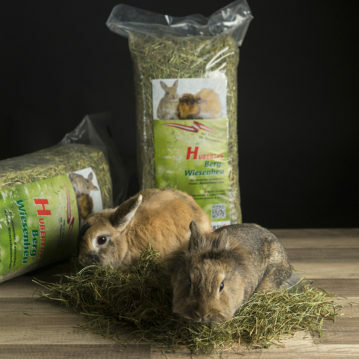 To get to know our hay we offer it in individual boxes, loosely pressed. Larger demand can then be ordered on EURO pallets.